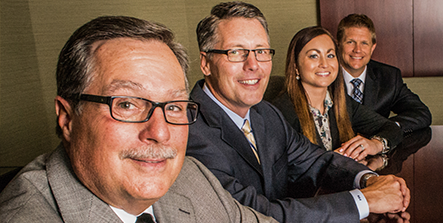 At SBC Wealth Management, our mission is to position our clients to meet lifestyle objectives. When the markets, the economy, or life altering events deliver an unexpected challenge to our clients, we are there to make sure they make it through. We have consistently demonstrated the ability to assist clients in the creation, management, and preservation of substantial assets. Founded in 1983, SBC Wealth Management was founded on the American values of hard work, integrity, and uncompromising quality and personal service. Our mission is to serve as our client’s financial compass with first class service as the cornerstone of our business. Our clients rely on us to create, enhance, and preserve their lifestyles. The primary business of SBC, as a registered investment advisor, is to work with individual clients to maximize current income and/or cash flow both taxable and tax free, and/or create long-term capital appreciation using prudent financial planning techniques depending on clients’ needs, risk tolerances and assets. This would include diversification of assets, long-term income, distribution planning and investment planning and the use of insurance where appropriate.